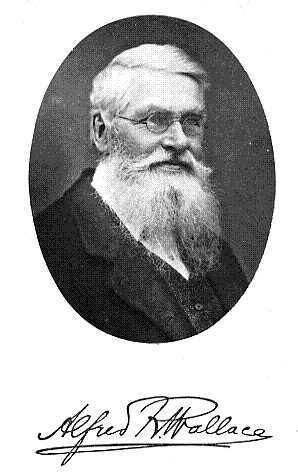 Alfred Russel Wallace (1823-1913) was (possibly most famously) the co-discoverer of the theory of natural selection alongside Charles Darwin in July 1858. However, Wallace was a man who, largely unlike Darwin, was very heavily involved in almost every field of study and debate of his age. His long life and extensive and in-depth interaction with the world that surrounded him makes him an incomparable character to seek to understand. From his early renown as an explorer, his reputation as an early thinker regarding biogeography, his work on natural selection, his concern for environmental issues, as well as his controversial thinking on issues such as socialism and spiritualism he was a man of many colours. This project hopes to bring some of these colours back to the surface with the same luster as Wallace had himself shown throughout his 90 years of life.